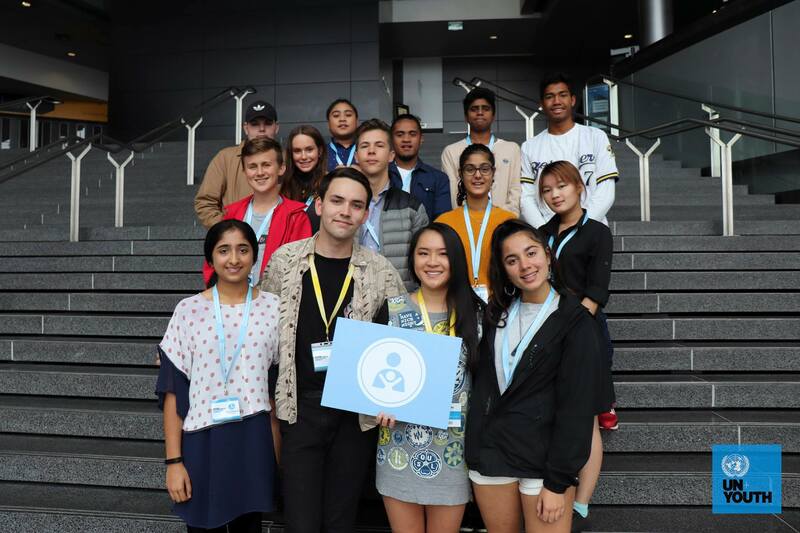 Applications are now open to be a part of the amazing team that will be organising Aotearoa Youth Declaration in 2019! Aotearoa Youth Declaration is UN Youth’s flagship civics education conference. The conference aims to equip participating students with a deeper understanding of their place within the community and the ways they can actively contribute to it. To achieve this, students are guided by facilitators in small groups, each centered around a different policy area. Over four days they participate in a number of workshops, visit various businesses and organisations, and hear from industry experts to engage further with issues in each policy area. The students then develop policy recommendations on the issues and areas most important to them, and these are brought together in the Youth Declaration – a document that represents the youth voice. Applications for Coordinator close 11.59 pm on Sunday 17 June. Applications for Committee have been extended until 11.59 pm on Sunday 15 July. Passion: Someone with a genuine interest in youth development and civic education. Leadership: A leader who thrives in a team environment. Communication: The Committee will be involved in liaising with a large number of stakeholders. Organisation: Someone with the capacity to organise a complex event over an extended timeframe and involving hundreds of participants. Through this involvement with UN Youth, you will gain skills and experiences that will benefit you no matter what your course of study is or future career goals are. You will be supported in this role and gain a great deal from the expertise of other Volunteers you will work with. The friends and social networks that Volunteers gain from UN Youth are a big part of what brings many people back. This role is a great opportunity to meet new, like-minded people or otherwise continue working with some of the incredible people you already know! The role will be a great deal of work, but it is also very rewarding. You will have the opportunity to implement new initiatives, work with awesome people, and form great memories doing so. If you have participated in UN Youth events in the past, you will know just how educational and transformative they can be. This role is a fantastic way to give back to the organisation and, even if you have not been involved in UN Youth before, it is a way to contribute to the wider community through direct youth development. Organising a four-day conference for over 250 people is no small task. This role is a very unique and significant undertaking that will test the limits of what you’re capable of – perfect for someone looking to extend or challenge themselves. I am no longer attending Secondary School. I am no older than 25 years old. Your CV must be no longer than two pages. I have read the description of the position and I undertake that I can and will carry out the duties and responsibilities explained therein if chosen for the position. Furthermore, if chosen I will carry out all the duties in good faith and will liaise with the National Executive and the Committee in the spirit of good faith and cooperation. I understand that if appointed by the National Executive, I will be required to comply to the Volunteer Code of Conduct of the Welfare Protocols and National Protocols of UN Youth New Zealand. I have read the description of the position and I undertake that I can and will carry out the duties and responsibilities explained therein if chosen for the position. Furthermore, if chosen I will carry out all the duties in good faith and will liaise with the National Executive and Coordinator in the spirit of good faith and cooperation. I understand that if I am successful in my application, I will be required to pass a police background check. If I fail this check, I may not be appointed as a Committee member. I confirm that I wish to apply for the role of Aotearoa Youth Declaration Coordinator and I understand and accept the above statement. I confirm that I wish to apply for the role of Aotearoa Youth Declaration Committee and I understand and accept the above statement.